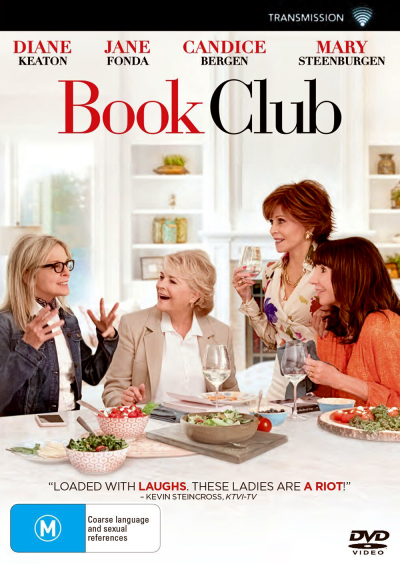 The Book Club DVD debuted at the top of the Aussie cinema box office in May 2018 and has an all star cast including Diane Keaton, Jane Fonda, Candice Bergen and Mary Steenburgen. 4 lifelong friends' (Diane Keaton, Jane Fonda, Candice Bergen and Mary Steenburgen) lives are turned upside down to hilarious ends when their book club attempts to shake things up by tackling the infamous Fifty Shades of Grey. From discovering new romance to rekindling old flames, they inspire each other to make their next chapter the best. Click the button below to add the Book Club to your wish list.